 Would you like to uncover the story of the ŠKODA logo? 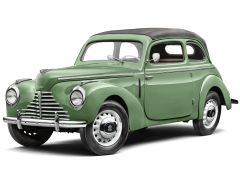 Would you like to get a closer look at ŠKODA vehicles produced from 1895 to now? 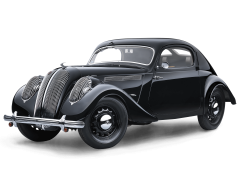 Would you care to drive around 1930´s Prague in a beautiful L&K ŠKODA 110? Václav Laurin, a mechanic, and Václav Klement, a bookseller – both of whom were enthusiastic cyclists, began making their own bicycles in December 1895. Due to a tense political era and a strong sense of patriotism at the end of the 19th century, they named their company Slavia. 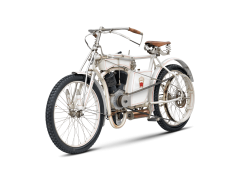 Beginning in 1899, they began producing motorcycles under the name Laurin & Klement. 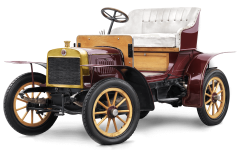 At the turn of the century, Laurin and Klement moved to manufacturing cars. The first mass produced car– the L&K Voiturette A - was made in 1905. The first logo of the L&K Company with lime tree elements symbolizing Slavic nations. 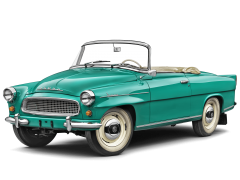 It was used on bicycles and motorcycles of the Slavia brand. This logo was used on the side of Slavia motorcycles‘fuel tanks. This round logo with the L&K initials surrounded by a laurel wreath was inspired by art nouveau. It decorated the top of the Laurin & Klement automobile radiators. The famous winged arrow has adorned the cars made in Mladá Boleslav for almost a century. Its origin is veiled in mystery and is a source of many legends. 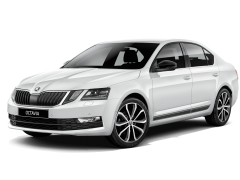 The ŠKODA AUTO logo is perceived as one of the most original and stylistically pure in the world. The winged arrow is much larger and more prominent in the latest version. One significant change concerns the wordmark, which moves underneath the picturemark with the winged arrow in a chrome ring. Where did the legendary winged arrow come from? The commercial director of ŠKODA at the time, Tomáš Maglič, is considered the author of the idea. A picture portraying a Native American decorating the ŠKODA Plzeň management office around the years 1918–1919 was likely his inspiration. Two variants of the trademark were registered with the Office of Trademark and Design in Plzeň on December 15th, 1923. 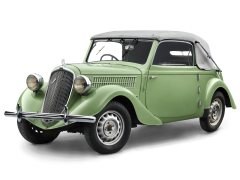 The first variant, used in 1924 and 1925, was a winged arrow with a five-feathered stylized wing in a circle with the word ŠKODA. The second variant showed a three-feathered winged arrow in a circle. The arrow in both variants pointed to the right. This stylistically perfect variant won and has not been significantly changed since. 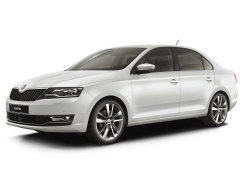 While it is clear that the design was not the work of an amateur, the author of the ŠKODA logo is not known. First class Czech sculptors Otto Gutfreund or Otakar Spaniel are rumoured to have been the authors. 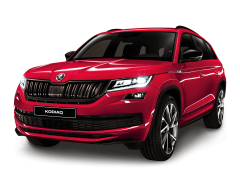 Much of the historical evidence suggests, however, that the logo was probably the outcome of a competition called by the technical director of the ŠKODA headquarters in Prague, Dr. Ing. Sýkora, who also initiated the registration of the trademark. The logo with the famous winged arrow first appeared on automobiles from Mladá Boleslav in 1926. 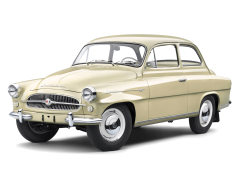 Automobiles have been made in Mladá Boleslav under the brand ŠKODA since 1926. Even though the company name changed completely, the new logo shares many similarities with the older one. 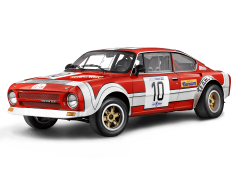 The round logo is firmly connected with the Laurin & Klement brand. It decorated the top of the radiator. The word trademark Laurin & Klement first appeared in 1913. 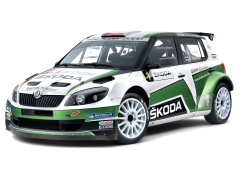 A round L&K logo appeared on the radiators and from 1925 the ŠKODA oval was used. This logo was used only on car radiators. 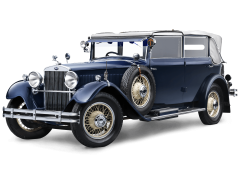 Cars produced during the L&K era bore the trademark Laurin & Klement on the radiator until 1929. This logo was created in ŠKODA Plzeň and the Mladá Boleslav factory adopted it in 1925. It was used on automobiles until 1995 and on printed materials until 1992/93. Even today, it is used on individual components such as the windshield or engine parts. Technical advancement, manufacturing scope, worldwide sale of products. Manufacturing versatility, perfection of production, the world, the Earth. Manufacturing precision, high level of technical development, innovation. Progressive production methods, high productivity. 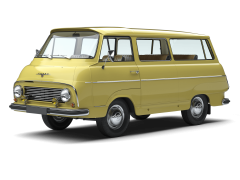 On fenders, hubcaps, hoods – wherever it was possible for the arrow to point forward. The design of the original Laurin & Klement logo with the founders‘initials was influenced by art nouveau at the beginning of the 20th century. The logo is decorated by a laurel wreath, which has always been connected with fame and victory. It was likely used due to the similarity between the name Václav Laurin and the Latin name for laurel, Laurus Nobilis. The basis of the logo was metal, and so silver (metallic) and blue were used. As required by circumstances, inverted colours were used. The logo was sometimes used in red in the 50s and 60s, also inverted if needed. The first modification of the ŠKODA logo. The blue was replaced with green and a new circle with the company name was added. 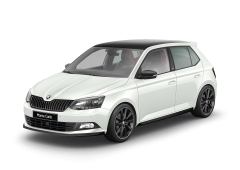 The black and green logo gave ŠKODA a large measure of originality – black symbolizes the century-long tradition of the company and green indicates ecological friendliness. 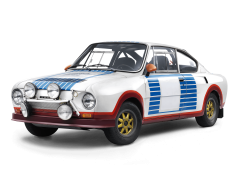 Different logos for cars and for printed materials were used in the past. There were no exact rules for using the logo until 1994 and, therefore, there were many variants. The first corporate identity manual was created in 1994 along with the FELICIA model. World fact: A French company called Michelin presented the first automobile fitted with tires in 1895. World fact: Albert Einstein published four articles that became the basis of modern physics in 1905. World fact: German inventor Alfred Wilm discovered dural, a new alloy in 1906. World fact: Roland Amundsen's expedition reached the South Pole in 1911. World fact: An International Exhibition of Modern Decorative and Industrial Arts, introducing art deco and modular architecture took place in Paris in 1925. World fact: The Wall Street Crash on Black Tuesday started the Great Depression in 1929. World fact: Robert Watson-Watt successfully tested the first radar in Great Britain in 1935. World fact: BBC Radio started a regular broadcasting schedule in 1936. World fact: Germany and Japan surrendered in 1945, ending World War II. World fact: The first United Nations General Assembly took place in London in 1946. World fact: The first nuclear-powered submarine, the USS Nautilus, was commissioned in 1955. World fact: Elvis Presley rose to fame in 1956. World fact: American scientist Gordon Gould patented a technology called the LASER in 1959. World fact: The Soviet probe Luna 3 took photos of the dark side of the Moon in 1959. World fact: The height of Beatlemania. The film comedy A Hard Day's Night premiered in 1964. World fact: The "Prague Spring" and the occupation of Czechoslovakia by the Warsaw Pact forced in 1968. World fact: A pocket calculator was introduced by Texas Instruments in 1971. 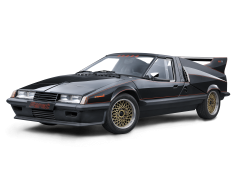 ŠKODA 110 SUPER SPORT "FERAT"
World fact: A personal computer called IBM PC was introduced in 1981. World fact: A barcode was used for the first time in US retail business in 1974. World fact: The first Star Wars movie by George Lucas premiered in 1977. World fact: A supersonic passenger jet Concorde began a regular flight schedule in 1976. World fact: The fall of the Berlin Wall and the Communist regimes in Central and Eastern Europe was in 1989. World fact: The La Manche tunnel, connecting the UK with continental Europe was opened in 1994. World fact: Toy Story, the first computer animated movie, premiered in 1996. World fact: Bertrand Piccard and Brian Jones traveled around the world for the first time in a hot air balloon in 1999. World fact: The Euro became a legal tender in the Eurozone countries in 1999. World fact: First draft of the complete human genome is published in the journal "Nature" in 2001. World fact: Smartphone apps has become mainstream in personal computing since 2009. World fact: Nearly half of the world's population has used a cell phone and pre-paid mobile operator services since 2009. World fact: Most of the United States adopted laws regulating the testing of autonomous vehicles in 2012. World fact: Astronomers discovered the thousandth exoplanet in 2013. World fact: The Oculus Rift virtual reality headset has been available for developers since 2014. World fact: 3D printing became a stronger trend in, for example, manufacturing spare parts in 2015. World fact: Electric cars became more widely available and affordable in 2017. 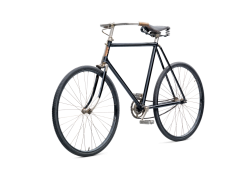 In 1895, Mr. Laurin and Mr. Klement found a factory for production of the Slavia bicycle. 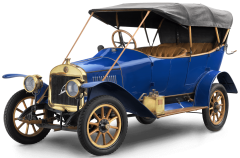 In 1905 the first car from the Laurin & Klement company is introduced. It is a small two-seat vehicle with 7 horsepower called the Voiturette A. The manufacture of automobiles grows quickly. In 1907 the small factory becomes a joint-stock company. 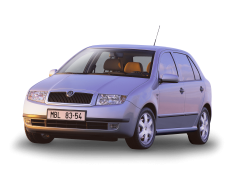 Thanks to good business connections, cars from Mladá Boleslav make their way, among other countries, to New Zealand, Russia, England and Japan. Car manufacturing is strongly affected by the World War I. The production of personal vehicles is almost stopped, and instead military vehicles are being made. In 1924 the factory was partially destroyed by a large fire, which led to the company merger with the engineering giant from Plzeň, ŠKODA. After the company merger, the factory is enlarged and equipped with modern line production. 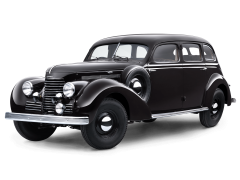 In 1930 the factory is struggling with the world-wide economic crisis and introduces to production a car with an entirely new concept - the ŠKODA 418 POPULAR becomes the basis for individual production lines. 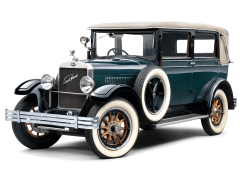 In 1936 the car company is in first place among domestic automobile manufacturers and positive reactions are coming from other countries. With the coming of the World War II and occupation, production focuses on the needs of Germany. The factory is bombed near the end of the war. After the war, Czechoslovakian economic activities are affected by the nationalization process. The branch factories in Kvasiny and Vrchlabi become a part of the company. 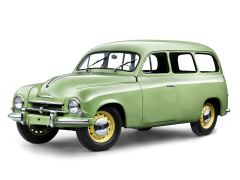 The socialist era begins, which completely changes the direction of the Czechoslovakian automobile industry. 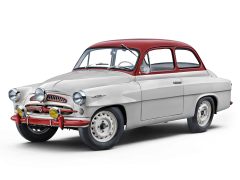 The 1950s belong to the ŠKODA FELICIA, for which the demand was much higher than the production capacity. 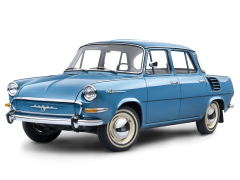 At the beginning of the 1960s, the factory undergoes an extensive modernization, and in 1964 the production line rolls out the all new ŠKODA 1000 MB. 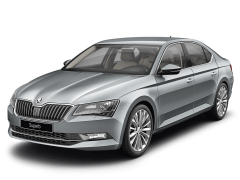 Production of the leading model, the ŠKODA 1000 MB, and its derivatives, continues in full swing. 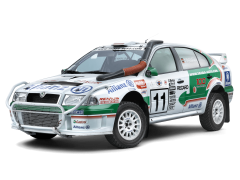 This is the first model in the history of the company with more than one million pieces produced. 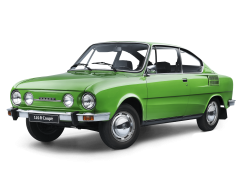 Production of the ŠKODA 110 R sport coupé is stopped in Kvasiny in 1980, and the next year production of the ŠKODA GARDE begins, which is later renamed to ŠKODA RAPID. Once again, the company is making a sporty two-door coupé. 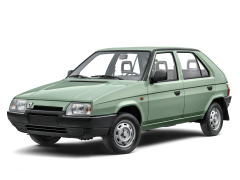 In 1987, the long-awaited and all-new model, the ŠKODA FAVORIT, goes to production. 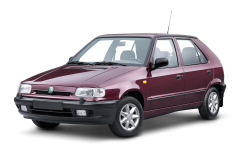 In March, 1991 the company begins a partnership with Volkswagen. 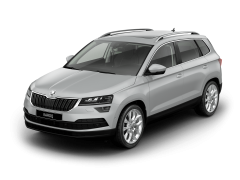 Even the company name is new - ŠKODA, joint-stock automotive company. 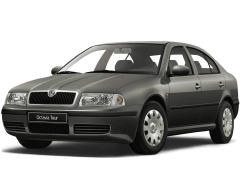 In April, 1996, the all-new model, the ŠKODA OCTAVIA is introduced. 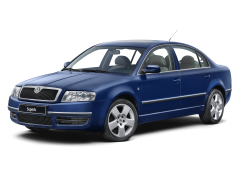 One year later comes the ŠKODA FABIA, and in 2001 a new luxury limousine in the upper-middle class is introduced, the ŠKODA SUPERB. Production facilities are built in Russia, China and India. 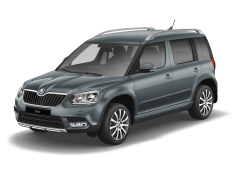 Within the last decade, ŠKODA has expanded and modernized its model range, including its first-ever SUV, and improved its overall design. 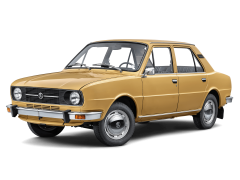 Have a test drive in ŠKODA 110. Choose the experience in VR. Please put your device in landscape mode. Your device resolution is too low to enjoy this website. By clicking agree you can also grant your consent to the processing of personal data for statistics and analysis of the user's behaviour.